Originally hailing from the industrial landscape of Hamilton, Ontario, Dana Sipos inhabited the far Canadian north - Yellowknife, Northwest Territories - for many years before going nomad. Her captivatingly nuanced songs continue to be infused with a wild wind and a haunting, slightly hypnotic surrealism, akin to the mysteries of the north. 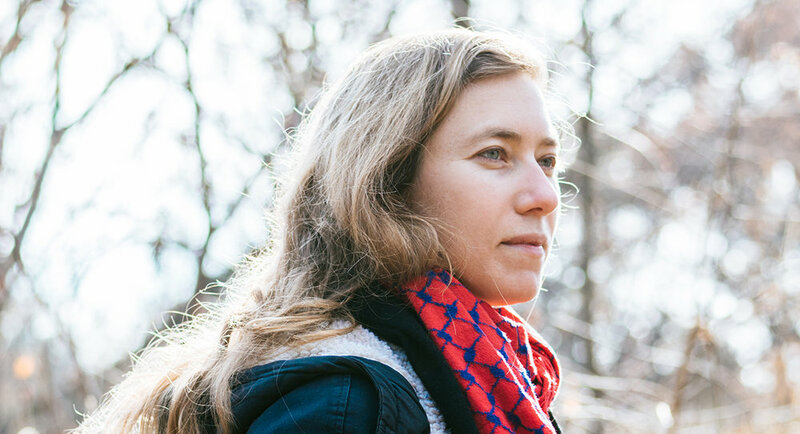 Sipos toured extensively across North America and Europe in support of her 2015 release, RollUp the Night Sky, often employing alternative touring modes; bicycle, tall ship, canoe and train. The album was released on underground Nashville label Muddy Roots Records and nominated for a Canadian Folk Music Award in the Pushing the Boundaries category, celebrating innovation in creating new folk sounds. The ten songs that make up her new album Trick of the Light, travel extensively as well; to the Blue Ridge mountains of Appalachia, the Kentucky foothills, the wilds of Tennessee, the rolling hills of Virginia. It is partly by chance and partly by choice that rural, mountainous regions of the US inform so much of of the music, along with the pull of the tides, amateur palm readers, guiding lighthouses and hurricane season. These are tenuous times and there are gentle, tenuous threads that tie this evocative collection of sonic stories together. In making Trick of the Light, Sipos employed the help of experimental Toronto producer Sandro Perri and features Mary Margaret O’Hara, Jesse Zubot and Doug Tielli. Often drawing comparisons to Natalie Merchant, Gillian Welch and Nick Drake, Sipos’ rhythmic fingerstyle guitar playing is textured and immersive and her true strength lies as a songwriter; shining a tenderly skewed light into the darkness and drawing the listener in to the strange and mystical space occupied by the shadows. Trick of the Light will be released in May 2018 on boutique Toronto label, Roaring Girl Records and supported by FACTOR Juried Sound Recording, Canada Council for the Arts and the Toronto Arts Council.